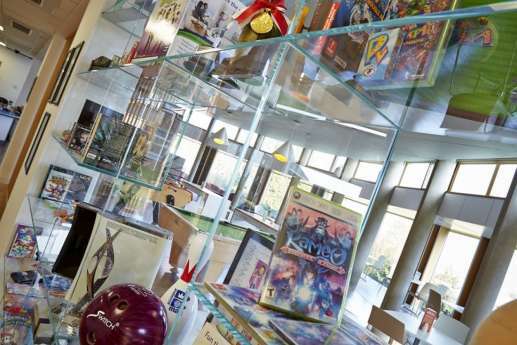 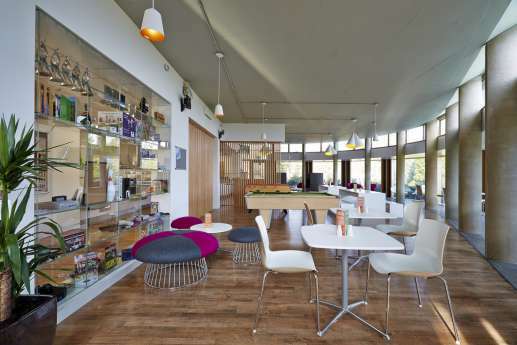 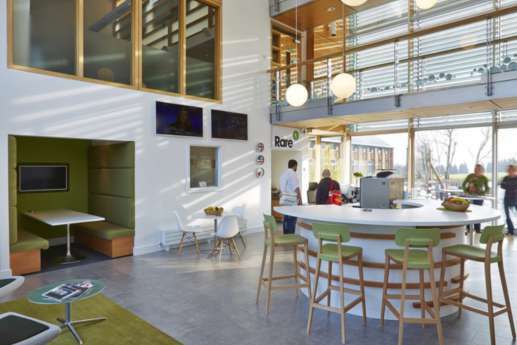 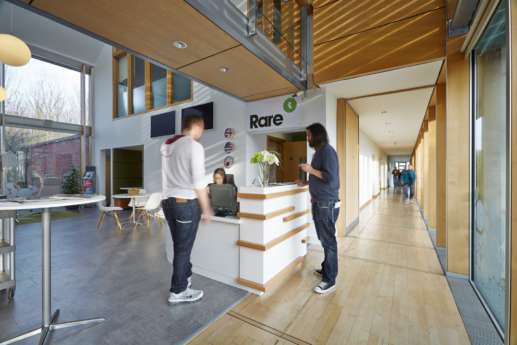 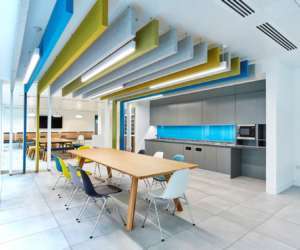 As one of the UK’s leading computer game developers, with legendary titles like Donkey Kong and Goldeneye behind them, Rare Games needed a fit out that reflected their creativity and provided an inspiring and inventive place to work. 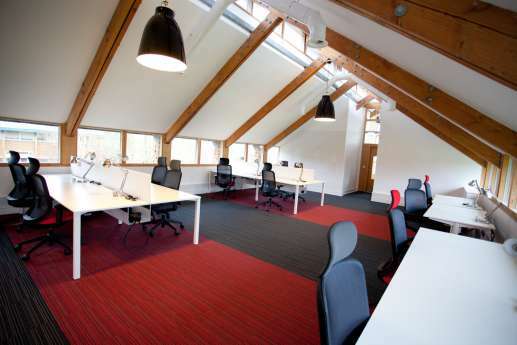 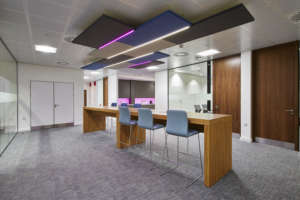 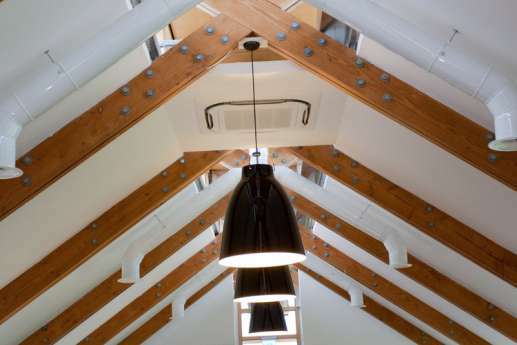 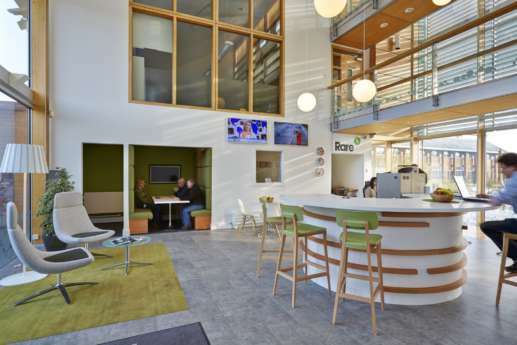 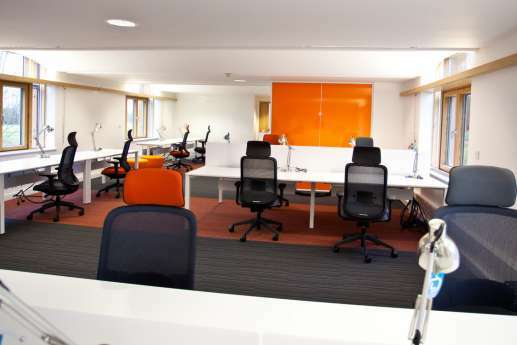 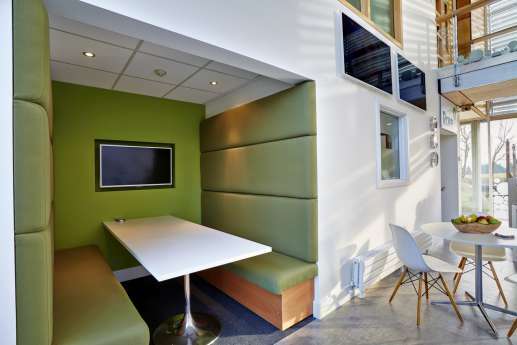 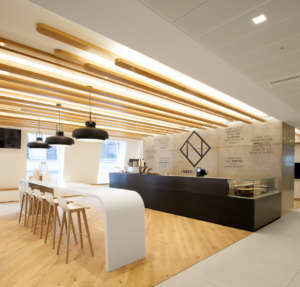 With an emphasis on creating an informal and collaborative space, we provided them with a complete turnkey office design and build at their Warwickshire headquarters. 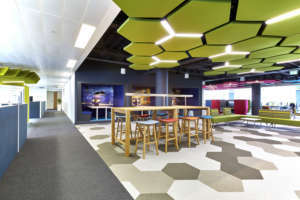 This included everything from initial consultation, through to internal design, and supplying and fitting furniture, flooring and décor. 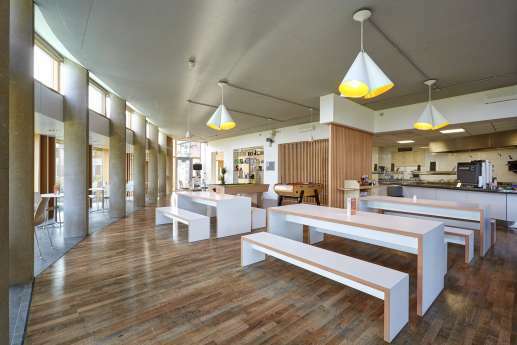 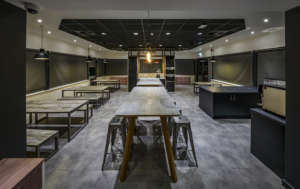 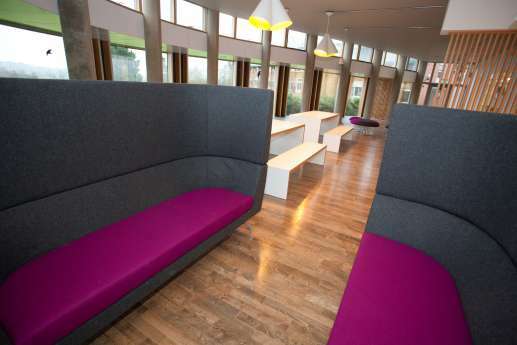 We also designed and installed a central hub, complete with a coffee bar, games room, seating area and meeting space, and completely refurbished the canteen with a mix of furniture. 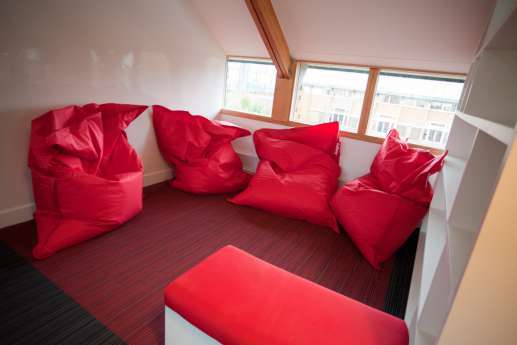 So it can now be used as an extra meeting space. 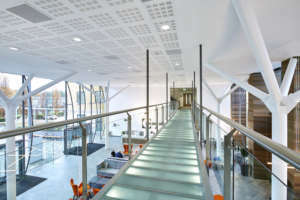 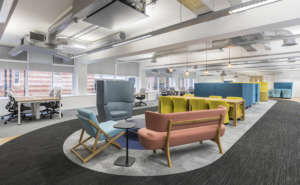 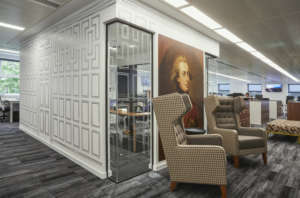 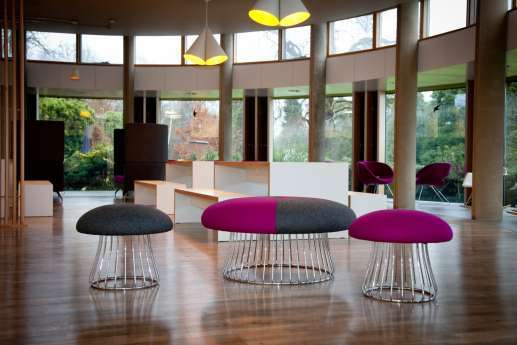 Other novel additions to their new working environment included a glass wall memorabilia display, giant beanbags, write-on white-walls and a library.